if this trip to japan has taught me anything, it's that i have most certainly surrounded myself with people with the same mentality as me when it comes to seeing the world, being spontaneous, and making impulsive decisions.. which is why what i'm about to share seems so natural a sentiment to both me and my friends, and to you too - i hope! bear with me while i explain. 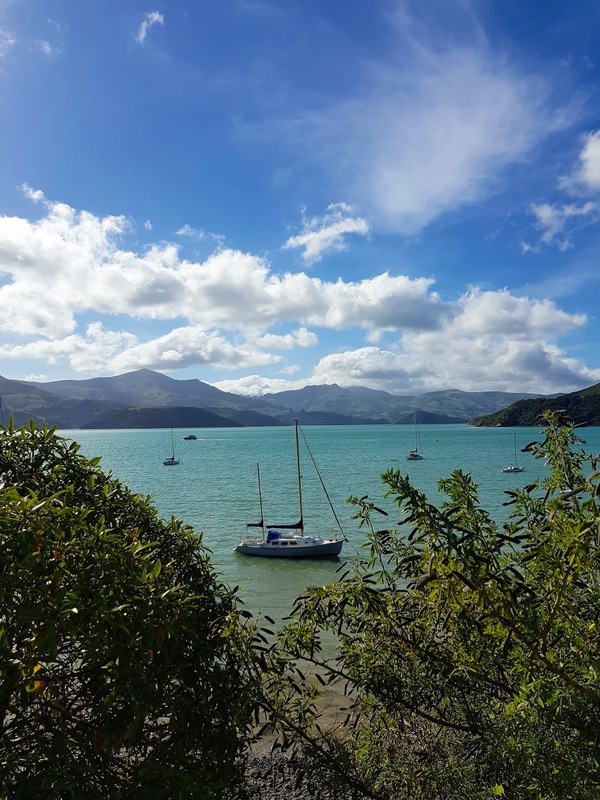 a few months ago, the wonder that is the runaway kiwi launched a new venture, designing and selling inspirational and motivational pendants under the label zeal and heart. i instantly loved the fun, quirky, and totally not-normal quotes that rebecca chose for her pendants, so i bought one from her in the first few weeks of launching the range. 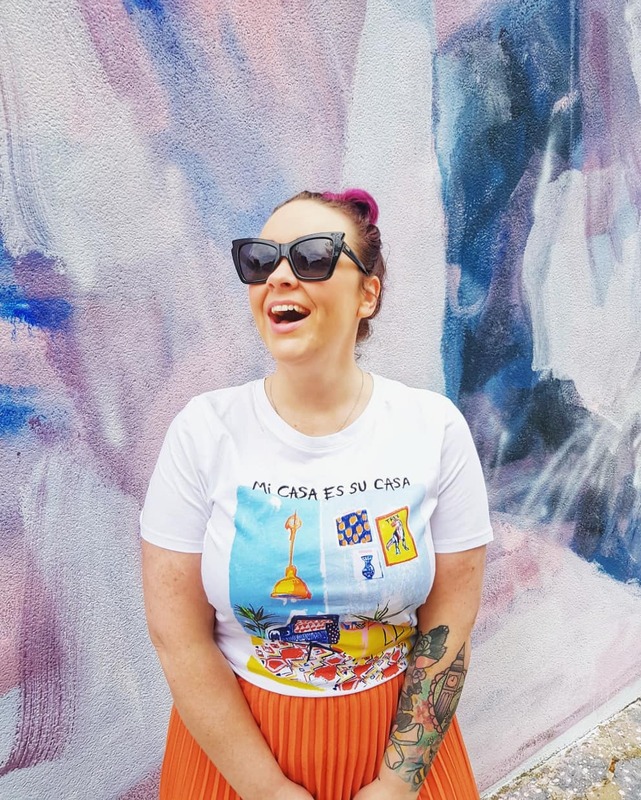 i choose happy was the reminder i needed to keep me plodding on and head first into everything i do, and it hasn't left my neck since the moment it arrived in my mailbox. sterling silver and one of a limited number of one hundred pendants in each design, it's special and exclusive enough for me to be one of a literal few dozen people in the whole wide world to have this slogan so close to their heart every day - and i love that about rebecca's range. so when rebecca reached out and asked whether the bangarang gals and i would like to collaborate on a limited edition run of pendants that totally describes us, and out little group in only a few words - we were over the moon! and our slogan? the phrase that wholly sums us up, and doesn't include swears or mentions of booze? 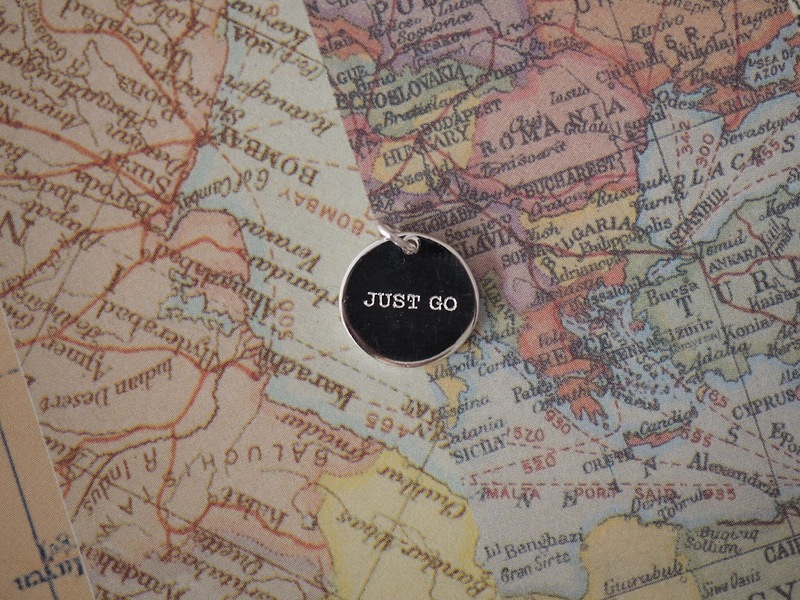 JUST GO. our little gang of internet pals includes gals from all ends of the professional spectrum; from self-employed lady bosses to office gals, to social media lovelies to events angels, to i.t. helpers and business bodies, and everything in between, we have all corners of the market - and salaries - covered. 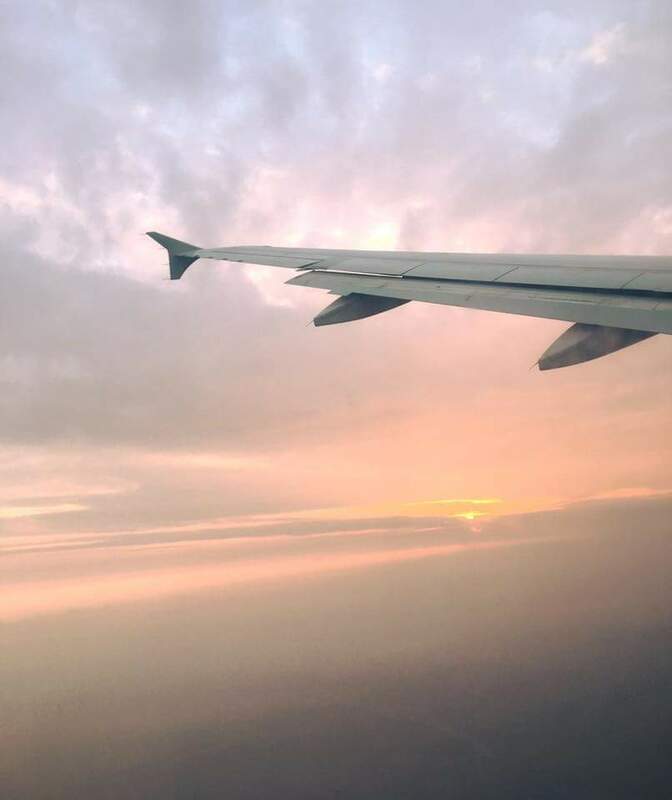 despite our differing incomes and outgoings, there's one thing that binds us all, and it's our unabashed willingness to just go. whether it's to after work drinks you're not sure of, or on that cheap weekend break, or out with that boy you've been messaging for a bit - the one phrase that's thrown around the most in our group chat is the one phrase that we had to have inscribed exclusively in silver for all to see (and wear, should they choose! and i hope you do!). 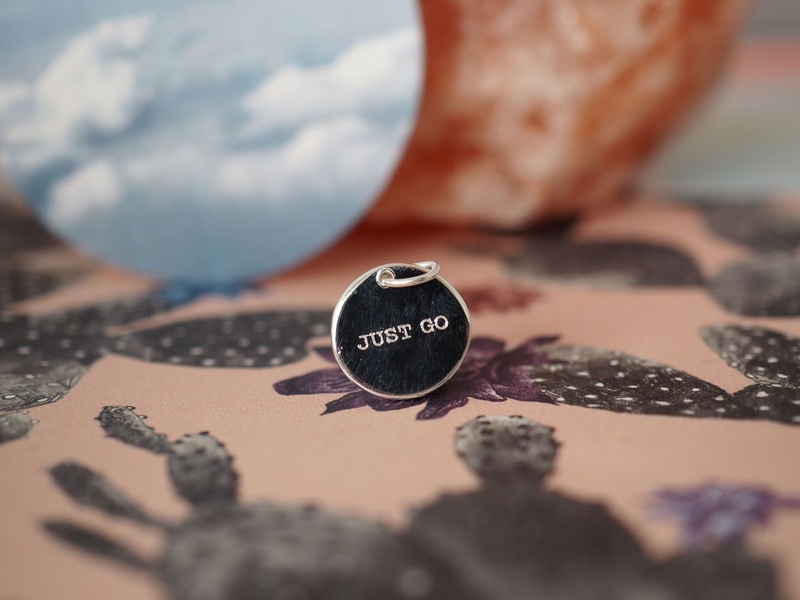 the details: there are only a limited number of these just go pendants on sale in rebecca's shop - minus the 11 for us to wear with pride, that leaves 89 on the shelf to buy. you can pick up the pendant alone for £25, or with a sterling silver chain for £35, and all proceeds from each sale will be donated to headway uk in memory of charley's best pal amy who sadly passed away last year while on holiday in australia, but who was the absolute epitome of this phrase. 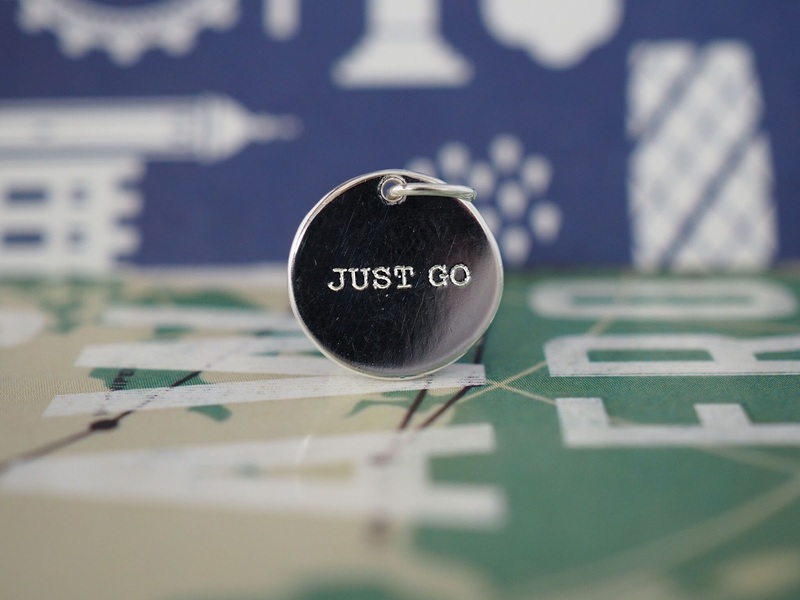 just go reminds us all of amy, and we're honoured to be able to donate some money from each sale to their incredible charity. so, there you have it! some incredibly exciting news to share with you, and some news i hope you'll be as excited about as me! i now have i choose happy and just go around my neck at all times, and i like to think these two phrases go hand in hand pretty nicely - don't you? find the whole zeal and heart range here.